“The Drop,” a thrilling and emotional drama that stars Tom Hardy, Noomi Rapace and Matthias Schoenaerts based on a short story by Dennis Lehane follows Bob Saginowski (Tom Hardy), a lonely bartender who one day finds a pit bull puppy in a trash can. Soon Bob will cross paths with the equally damaged Nadia (Noomi Rapace), her ex-boyfriend Eric (Matthias Schoenaerts) and a gang of hardened Chechen criminals. There will be violence, but also the possibility of redemption for Bob. Also starring the late James Gandolfini and John Ortiz, “The Drop” is directed by Michaël R. Roskam, whose debut picture “Bullhead” was nominated for the Academy Award for Best Foreign Language Film. “The Drop” is a gripping and suspenseful movie, centered around a powerful performance by Tom Hardy. Pulling pints at a grubby Brooklyn bar run by Cousin Marv (James Gandolfini), a place used for organized crime money drops, Bob has nothing and no-one in his life. But a chance encounter with an abandoned puppy gives him a glimmer of hope. Lehane masterfully crafts a story that is both dark and heartwarming, as only he can. 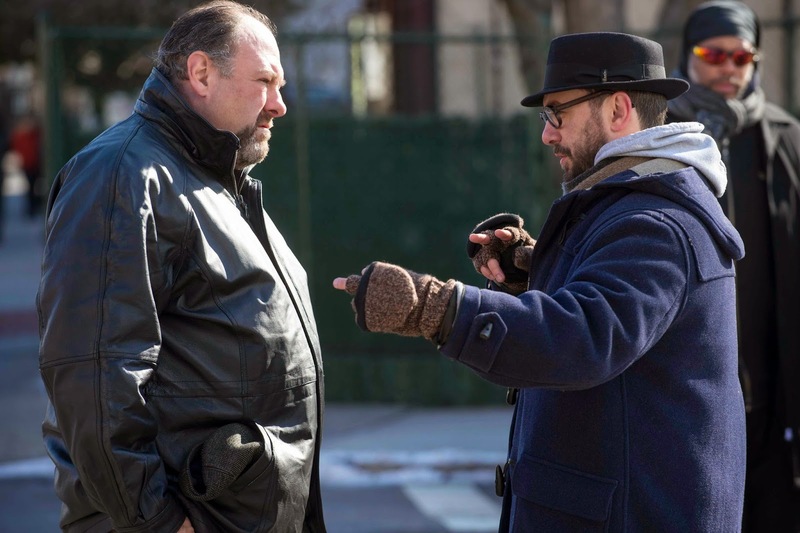 As Cousin Marv, Bob’s older-but-no-wiser father figure, James Gandolfini invests the character with a lived-in, streetwise weariness. Working with the veteran actor at the height of his artistic powers was a profound experience for everyone involved, including Lehane, whose past collaborators have included such Oscar® winners as Sean Penn, Tim Robbins, Ben Affleck and Clint Eastwood. “Jim understood that Marv is chasing the past harder than anyone else. He used to be somebody. He blinked when some tougher guys came along and he’s never gotten over it, so he’s making one last-ditch effort to grab the brass ring. But he is very sadly deluded if he thinks that’s going to work out well,” Lehane says. “The Drop” opens November 12 nationwide from 20th Century Fox to be distributed by Warner Bros.